Italian-born Paolo Soleri, who died in 2013 at the age of 93, was a visionary architect and the designer of Arcosanti, an experimental community in the Arizona desert that he founded in 1970. Soleri was a pioneer of the sustainable architecture movement, and by extension a leader in alternative architecture. His desert property began as a laboratory where he built in harmony with the native environment. Architecture and ecology had to be viewed as a whole, Soleri believed. After an apprenticeship with Frank Lloyd Wright in the 1940s, he developed a philosophy he called “arcology” (architecture plus ecology), in which buildings were densely packed and beehive-like in stark contrast to the sprawl of suburbia. People paid to intern with Soleri and live and work at Arcosanti for weeks at a time, in a process that continues to this day. 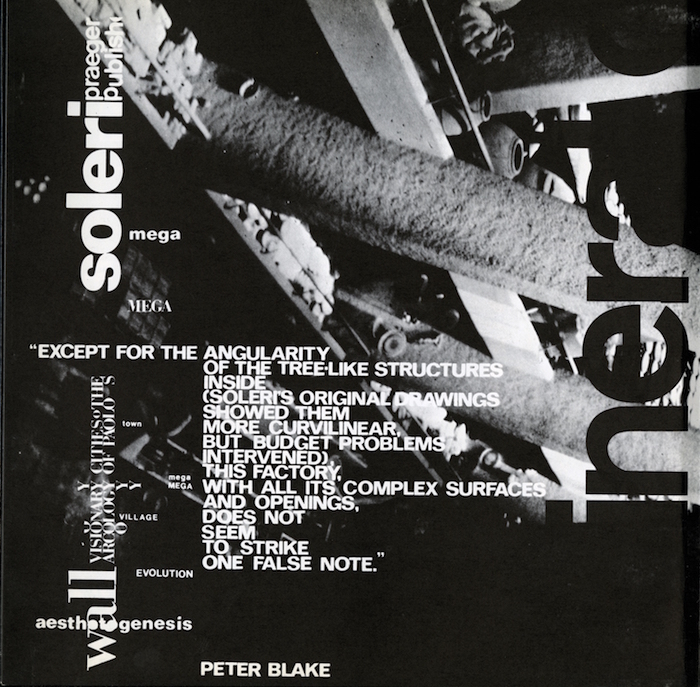 One lesser-known aspect of Soleri’s legacy is a major work of graphic design—or rather anti-design. 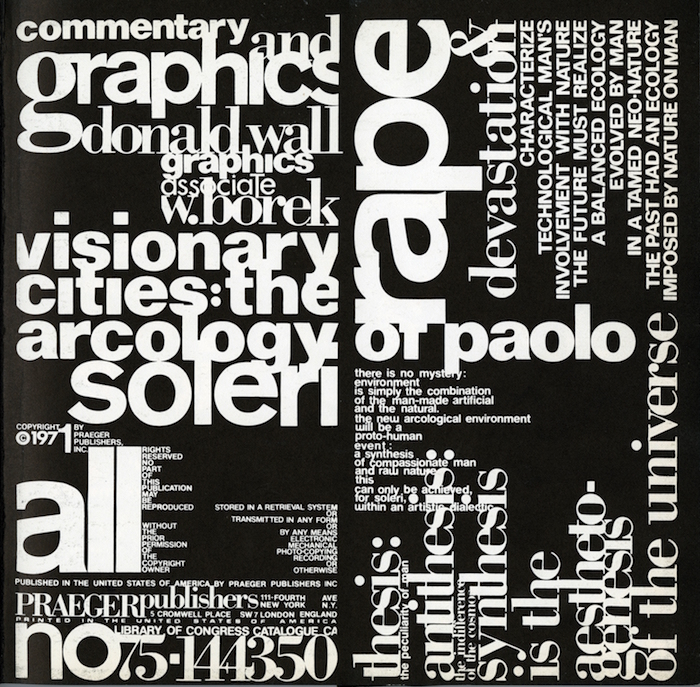 The typographically cluttered, experimentally constructed book about his fundamental philosophy, Paolo Soleri: Visionary Cities (1971), was written and designed by architecture professor Donald Wall. 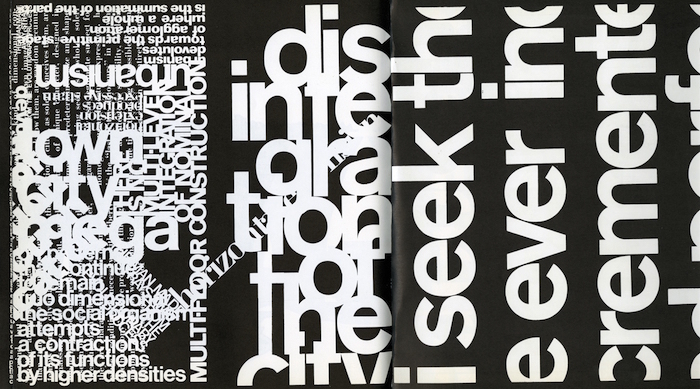 The book design, which my Design Observer colleague Rick Poynor wrote about in Eye magazine, looks forward to the deconstructive typographic antics of the 1990s and is a continuation of the concrete poetry of the 1950s and the typographic experimentation of the 1970s Fluxus movement. 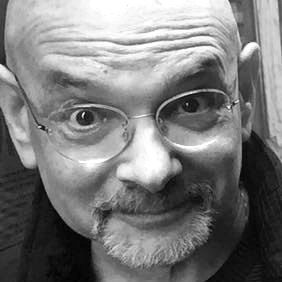 The prototype designer-as-author, Wall manipulated word and image, taking American typographer Herb Lubalin’s penchant for smashed letters to a new level of density, intensity and illegibility. 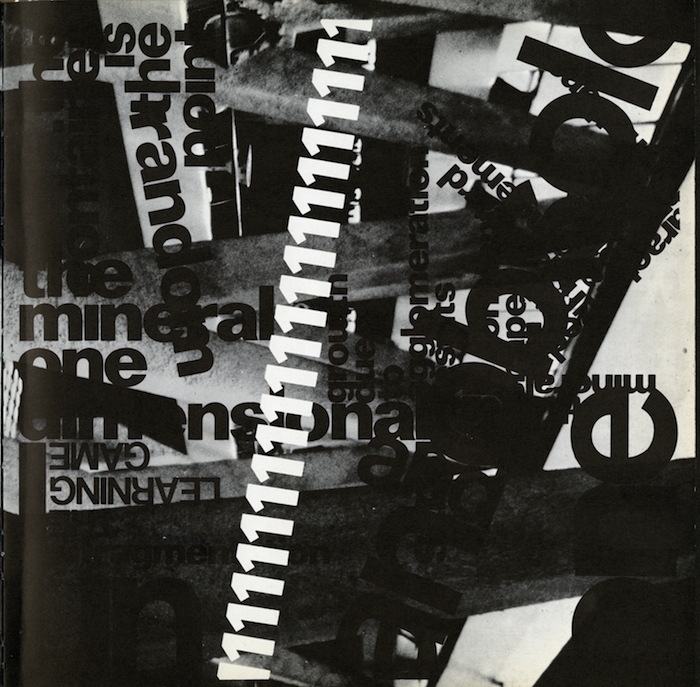 Love this extraordinary book, and am delighted to report that we've just acquired a copy for MoMA's permanent collection, thanks to the generosity of Mirko Ilic. 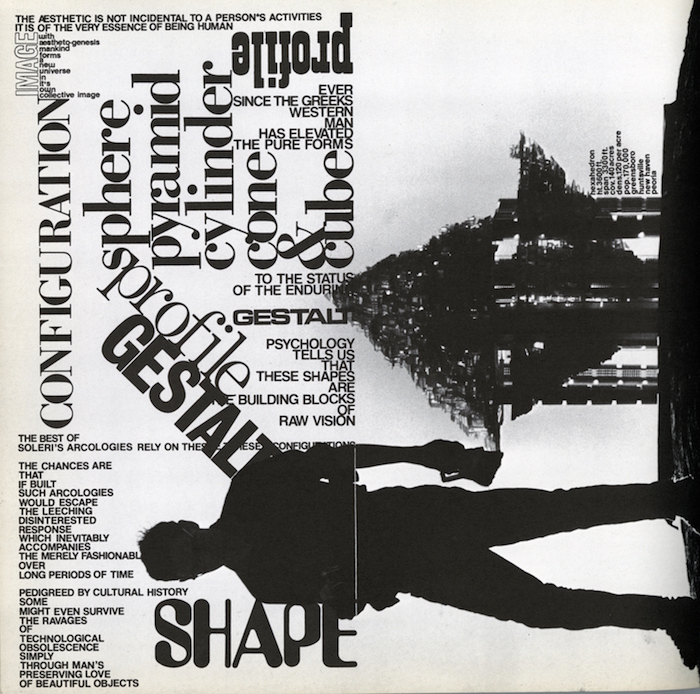 It perfectly melds two existing strengths --visionary 1960s and 70s architectural designs from the Howard Gilman Foundation collection, and the typographic antics of many Fluxus artists in the Gilbert and Lila Silverman collection. Juliet Kinchin, Curator of Modern Design, MoMA.